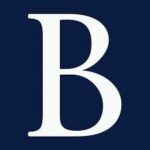 Blackwell’s is a British book retailer founded in 1879. They have more than 60 outlets across England Scotland and Wales. 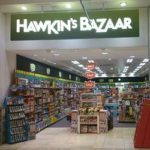 Following the implementation of GDPR, Blackwell’s launched an offline/online scratch card campaign to reacquire customer data in line with new regulations. 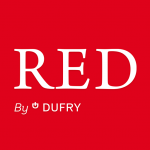 RED by Dufry is the points-based loyalty programme of the global travel retailer, Dufry Group, and is available in select airports across the world to reward and value loyal customers with special benefits and discounts. ODICCI worked with Dufry in 14 countries to engage customers on a global scale through an omni-channel interactive marketing experience. Givenchy is a French luxury fashion and perfume house present in most department stores throughout the UK. 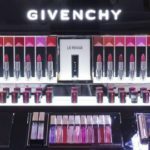 Many transactions happen every day, yet little data was captured until the company partnered with ODICCI to develop an integrated beauty counter experience to increase customer retention and develop new sales. 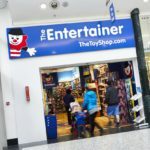 The Entertainer is the UK’s largest independent toy retailer with 124 stores. Many transactions happen every day, yet little data was captured until the company partnered with ODICCI to create an engaging offline-online campaign. The Entertainer compared results of a common process with the success of the ODICCI campaign process, and found that data capture rate increased significantly with ODICCI. Feedback response rates also increased 319% during global implementation. 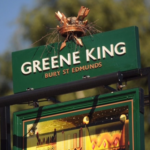 Seeking a way to combat the loss of business that so often befalls pubs in January, Greene King – the UK’s largest pub retailer, partnered with ODICCI to create a campaign to re-engage and acquire customers. The campaign was a massive success, and won Greene King the ‘Best Use Of Multichannel’ award at The Dotties. Greene King gained 730k entries, 330k new customers and £700k associated sales. They also increased their brand awareness and market share. 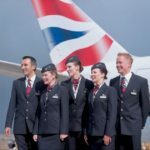 British Airways needed a platform where customers could engage with their campaign, and decide how their £200,000 bursary should be distributed across UK and international charities. Thanks to our interactive survey they managed to gain invaluable customer insight. Les Menuires wanted to capture more data about their customers, but their initial strategy of simply having staff situated in different parts of the resort asking for information was proving to be unsuccessful. With the help of offline cards integrated with ODICCI they now have dramatically increased their database with genuinely interested customers, which leads to increased loyalty and repeated business. 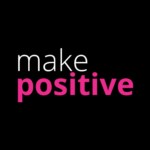 During Salesforce’s World Tour, makepositive wanted to capture more data and re-engage their audience. Working together, we launched a prize draw campaign to be implemented at Salesforce’s annual world tour. Using ODICCI live reporting throughout the event, we doubled the number of entries by the end of the day compared ti it’s start. 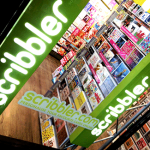 There are 32 Scribbler stores across the UK that see thousands of customers every day, yet little customer information was gathered until the company partnered with ODICCI to create an offline – online campaign. See how we helped them capture 10x more email addresses and increase their database by 50% in 4 months. 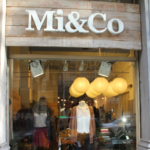 Mi&Co wanted to connect with and engage their customers with an interactive promotion during the busy summer months to increase their database and their sales. We managed to increase the number of customers participated in the promotion by 40% and the registered customers using the cards by 35%.